This article was submitted by a one of our readers. New technology often arrives hand-in-hand with ethical or legal quandaries. When agribusinesses first began to patent new cultivars of drought-resistant or higher-yield crops, farmers wondered how a company could patent a living thing. When bioengineers first began transferring genes from those new plant cultivars to other crops in order to produce frost-resistant fruits or vegetables that were immune from specific diseases, people debated whether or not genetic modification was ethical. When pharmaceutical companies modified bacterial genes to create living factories that produced insulin or fruit extracts, people argued over the very meanings of the words natural and artificial, and legal scholars wondered if naturally occurring molecules, identical in every way to those produced inside the human body or within living plants or animals, could even be patented. The cutting-edge of manufacturing technology is now 3D printing. And along with 3D printing comes its cousin 3D scanning. In the same way that 3D printing adds a vertical dimension to standard laser or ink-jet printing, 3D scanning technology adds a vertical capability to flat optical scanners. The coupling of 3D digital modeling with 3D printing technology places an unprecedented ability into the hands of any consumer-–or competitor. Some countries do not support intellectual or creative property rights, and 3D scanning potentially offers a fast and convenient way to copy patented or copyrighted designs. Additive manufacturing, which is commonly called 3D printing, is a method of manufacturing that builds a product layer upon layer, very thin layers of material. Instead of placing gears onto axles and meshing them in a gearbox, a 3D printer can build the entire assembly by successively creating stacked layers of the device as a whole. Gears and axles and containment are laid down in very thin horizontal layers, all at the same time. Successive layers add additional thickness to the final product. It is believed that when 3D printing is fully developed, the machines will be able to lay down layers as thin as a single molecule of material. The reverse of this concept is exemplified by 3D scanning. A three dimensional object is vertically measured with a succession of thin horizontal scans. These layers, when created one on top of another, reproduce the original object. Neither technology currently poses a threat to complex devices yet, but the potential is very real. State of the art 3D printers can work with ceramics, glass, metals, plastics, and even organic materials are being explored; but not all materials lend themselves to all types of 3D printers. 3D scanners are not currently able to provide an accurate internal rendering of complex devices, but x-rays and other non-invasive imaging techniques are sure to be incorporated as the technology becomes more developed. When high-resolution copiers and printers became available, a new generation of counterfeiters quickly seized upon the technology to produce high quality counterfeit currency. In 1995, approximately 0.5 percent of counterfeit money seized in the United States was produced with inkjet color copiers. By 1998, the percentage had risen to approximately 43 percent. In 2001, $47.5 million in counterfeit currency was seized in the U.S., and 39 percent of the counterfeit bills were produced with computers or scanners. To combat this abuse of technology, the U.S. government radically changed currency designs to make counterfeit currency more difficult to produce and easier to detect. No such solution will be available with 3D scanners and printers. Items that might be copied cover too diverse an array of products and materials. Consider The Thinker, a well-known sculpture by the French master Auguste Rodin. Rodin cast his first Thinker in 1904, and 20 additional castings have been made. In 2009, two of these figures sold for $4.2 million and $3.2 million. What would the value of these sculptures be if an original casting was scanned in 3D and dozens of exact duplicates were created? What if hundreds, or even thousands, of Thinker sculptures were suddenly available? What if sophisticated x-ray diffraction technology allowed a 3D printer to reproduce the exact bronze alloy used by Rodin, or even recreated the oxidation layers of the metal nearly 100 years after it was originally cast? These things are not beyond the realm of possibility. Works of art are recognizable, and the locations of famous pieces are generally documented. A buyer might purchase a 3D print of The Thinker, but it is doubtful that even an exact duplicate would be mistaken for an original because of the traceable history of each piece. The value, however, doesn’t have to come from originality. In most cases, the value is derived from functionality. Tools, car parts, architectural models, jewelry, shoes, dental fixtures, organ tissue and even uniquely shaped foods can now be created with 3D printers. What will happen when the 3D scanner technology advances to the point where cell phones can be scanned and printed? The potential for misuse is clear. What is not so clear is the legal category under which such misuse should fall. Copyrights protect tangible expressions of ideas. For example, authors and artists typically copyright the embodiment or expression of their creative efforts. Patents protect the ideas or inventions themselves. Reprinting John Steinbeck’s Grapes of Wrath or Andy Warhol’s multi-image portrait of Marilyn Monroe infringes upon copyrights. Building a new smartphone using the iOS mobile operating system is a violation of Apple’s patent rights. The differences are not always clear, and 3D scanners will blur the lines of these transgressions even further. The hull designs of racing yachts, for example, are critical to performance. Many modern racing yachts have unique hull designs. Would the scanning and 3D printer replication of the carbon fiber and epoxy resin hull of the USA-17, the 33rd America’s Cup winner that can sail at 2.0 to 2.5 times the true wind speed, be a violation of copyright law or patent law? Hull designs are copyrighted, but the hull composition is patented. The issue is unclear. Which standard would the 3D scanning and reproduction of an aircraft’s turbofan or airframe, each made with precisely formulated alloys in a carefully engineered design, violate? Even the replication of an item as simple as an iconic glass Coca-Cola bottle can create both copyright and patent issues. Additional complexities arise when considering the differences between manufacturing items for sale versus the manufacture of an item, or a replacement component of an item, for personal use. The common acronym PC, which stands for personal computer, shows how intertwined the concepts of computer technology and personal use have become, and 3D scanners and printers are now available at costs that the average hobbyist can easily afford to pay. Richard Stallman, the computer programmer and software freedom activist, has always been extremely critical of proprietary software and intellectual property rights. He passionately argues that individuals have the right to modify and improve or personalize software once it has been purchased. The development of 3D scanner technology will revive many of his arguments. Computer software was not always proprietary. When PCs were first commercialized, vendors sold only the hardware. Software was provided as a means to use the hardware being sold. The readable text form of the software, called source code, was distributed to consumers with each purchase. Operating platforms had not yet been standardized, and consumers often needed to modify the source code to allow purchased peripherals to function with the available operating system. Stand-alone software companies soon emerged to provide these modifications in the form of third-party software. IBM wanted IBM computers to require the use of IBM monitors. Since the majority of users did not have the knowledge to modify the source code, IBM viewed third-party software as an attack on the company’s market share. In 1969, the U.S. Justice Department filed an antitrust action against the company. The government alleged that software bundled with IBM hardware was primarily expensed through the hardware development costs, and that this created an unfair advantage for IBM and hindered competition. The lawsuit was a watershed moment in computer history and resulted in the prolific growth of third-party software companies. Microsoft Corporation recently faced similar allegations over bundling specific applications with Windows operating systems. The software companies that emerged following IBM’s defeat restricted access to their products by licensing the software with copyright protections. At that time, Stallman was a programmer at the Massachusetts Institute of Technology. The computer laboratory in which he worked made use of a laser printer on a different floor. Laser printers were expensive and uncommon at the time. The printer had been modified to message users when print jobs were completed and to send out error messages when paper jammed. Because the printer was located on a different floor, this modification reduced unnecessary trips to the printer and saved time. In 1980, the laboratory purchased a new Xerox laser printer. By that time, manufacturers no longer provided source code with hardware. As a result, Stallman and his coworkers could not modify the software. Stallman was angry over this limitation and immediately began developing a freely modifiable operating system that would rival proprietary software. He called his operating platform GNU and founded the Free Software Foundation. It is important to note that Stallman does not argue that software should be free of cost. He argues that it should be free to modify once purchased. He is famous for using the phrase “free as in freedom, not free as in beer. Stallman was very outspoken against intellectual property rights. Several of his colleagues felt that his abrasive remarks were frightening potential donors away from the Free Software Foundation. They ultimately distanced themselves from him by forming their own organization and using the phrase open source initiative instead of free software. This created a lasting schism between Stallman and the other developers. To this day, he walks out of interviews if the phrase open source is used. The GNU Project was the origin of Linus Torvald’s Linux kernel, and free software like Drupal, Joomla and WordPress are only available today because of Stallman’s anger at Xerox’s failure to provide him with source code in 1980. Although 3D printing did not originate with a dispute over intellectual property rights, the technology developed during the same time period and in the same idea-sharing culture. Many currently popular applications of 3D printing are closely tied with open source philosophies. Engineers originally called 3D printers rapid prototyping devices. The original technology, which was patented by Charles Hull in 1986, created three dimensional objects through the successive deposition of thin layers of UV-cured polymer. He called his photopolymerization technique stereolithography. Hull founded 3D Systems Inc. in 1984, and the company is still in business today. 3D Systems provides personal, professional and production-line 3D printers that still operate on his stereolithography technique. A stated goal of the company is the democratization of access to affordable 3D printing. Scott Crump patented the Fused Deposition Modeling technique in 1988, two years after Hull patented stereolithography, and founded Stratasys Inc. to commercialize his invention in 1989. The FDM technique sprays molten layers of polymer onto a support structure to print an object. The thin layer of polymer quickly cools, and another layer is added. This process is repeated until the final object has been printed. Stratasys was the first company to sell a desktop 3D printer for less than $15,000, and it currently promotes itself as the company that made 3D printing affordable. The Stratasys uPrint SE 3D printer is the ninth generation of Crump’s FDM technology. Yet another technique, known as Selective Laser Sintering, prints objects by firing a high-energy CO2 laser into a bed of granular material to sinter particles together in successive layers. SLS is used to print ceramic objects, and even edible objects can be printed with SLS technology by firing the laser into a bed of granulated sugar. Unlike FDM, SLS does not require a support structure. The granulated bed serves as both the raw material and the support for the object as it is being printed. Metal objects can be printed with SLS, but a newer technique replaces the CO2 laser with an electron particle beam in a vacuum chamber. Metal parts can be printed at much lower temperatures with this technique. SLS-based 3D printers were marketed by DTM Corporation until the company was acquired by 3D Systems. The U.S. Justice Department filed an anti-trust lawsuit, alleging that the acquisition significantly reduced competitiveness in 3D printing technology. The case settled without going to trial, and 3D Systems agreed to divest of all former DTM Corporation assets. The term 3D printing is now generically applied to all of these technologies, but the phrase originated with technology developed at MIT in 1993. MIT’s approach modified standard 2-D inkjet printing technology to deposit mixed layers of raw material and ink jet binder in extremely thin, stacked layers. They patented this approach as three dimensional printing, and the name caught on. MIT’s approach to 3D printing was optimized for speed and low cost. This brought the technology closer to affordability for hobbyists. Z Corporation licensed this technology from MIT in 1995. By 1996, all three technologies had been commercialized. Competing versions of Rapid Prototyping Devices were on the market and all were being called 3D printers. 3D Systems was selling the Actua 2100, Stratasys was selling the Genisys, and the Z402 was available from Z Corporation. The ink jet technology was designed for low-cost machines, and Z Corporation dominated the market for many years. The term low-cost is certainly relative in this case; although 3D printers were available to small businesses and consumers by the early 2000s, they were still far too expensive for a casual hobbyist to buy and experiment with. This situation changed dramatically in 2006. In that year, two open source 3D printing projects were released to the public. The Reprap Project was developed by English researchers. Their goal was to design an open source 3D printer that could ultimately produce the components to duplicate itself. Their first attempt was the Darwin model, and it could reproduce roughly 50% of its own components. Multiple upgrades have been released since that time, and the current model, which can be constructed for approximately $500, can produce every part needed to assemble another printer except for the circuit boards. Cornell University also released an open source 3D printer project in 2006. Called [email protected], the Cornell design sought to place rapid prototyping technology into the hands of curious, innovative people and watch what develops. Cornell expects a technological revolution similar to the one which occurred when PC kits first became available in the $400 price range. Open source 3D printers like the Thing-O-Matic, the Ultimaker, the Shapercube, the Mosaic, the Prusa and the Huxley are simply tools. The legal issues arise with the way those tools are used when 3D CAD designs are placed into open source files for anyone to download and print. Free software, as originally envisioned by Stallman and his co-workers at MIT, was supposed to accelerate the development and implementation of new technologies by allowing anyone with the technical ability to tinker with existing source code. The emergence of 3D scanners and file-sharing venues like Shapeways has catapulted the free software and open source philosophy into a realm where nearly any design can be made available, by anyone, at any time. 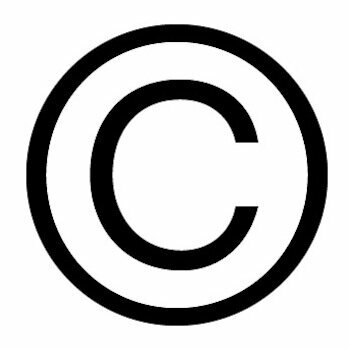 Before a patent or copyright holder becomes aware that intellectual property rights are being violated, the design may already have been downloaded by thousands of viewers. It is not idle speculation to wonder if this will occur. In 2011, an amateur designer uploaded to the 3D printing service Shapeways.com a 3D CAD file of a cube based on a prop from Paramount Pictures’ film Super 8. Within 18 hours, he was notified by Paramount that he was violating their copyright and ordered to remove the file. He complied promptly, but how many viewers accessed the file before it was removed? Pirate Bay, a torrent repository that is notorious for copyright violations with audio, video and software files, now offers 3D printer files called Physibles. This development, for patent and copyright holders, is ominous. There is no reason to believe that Pirate Bay contributors will suddenly decide to respect intellectual property rights. The only thing stemming the flow of shared patented or copyrighted designs now is the time it takes for the original files to be created. A technically competent person must take the time to create a 3D CAD file that duplicates an item. For complex devices, this is no small feat. However, as 3D scanner technology matures, it will be possible to accomplish this with the push of a button. Already iphone and Android apps exist to meld multiple images of the object into a 3D model. And Microsoft’s Kinect makes an excellent, inexpensive scanner. The opportunities for misuse, and for innovative collaboration, are endless. Developing 3D scanner and 3D printer technologies are almost certain to change the world.